As some background… “There is a narrowing of the life-expectancy gap between men and women. This could reverse growth in older single-person households driven by women living longer (and perhaps by high divorce rates), offering more self-care and support between couples and less external dependency. An increasing number of women hold driving licences, which may make it more likely that at least one partner will remain able to drive (for longer). There is a convergence in employment rates between the sexes (although still biased towards part-time for women). Added to the gradual increase in the retirement age and gender alignment, older people will be working (and commuting) later in life with part-time employment potentially a significant element of their work. Work itself is also changing; manufacturing decline and growth in the service economy and knowledge working may make it easier for older people to extend their working lives. Health trends are also increasingly important, not least in respect of dementia. The Alzheimer׳s Society suggests that “one in three people over 65 will end their lives with a form of dementia”. There is a growth in obesity (in tandem with a decline in the number of walking trips on average undertaken) which portends potential health and mobility problems later in life for parts of our ageing population. Allied to such trends are advances in information age developments and challenges posed in looking to future scenarios of living in later life in terms of the lifestyles and technology engagement of future older people compared to older people today.” There is so much changing. “In respect of older people and transport policy and planning, there are concerns that traditional representations of travel used by planners fail to provide a sufficient basis to consider them. Travel is recognised as a contributory factor to achieve a satisfactory quality of life for older people, but some consider that older people in the UK have suffered ‘disproportionately’ from transport issues, and that those charged with planning and delivering transport have failed to deliver an ‘inclusive’ transport system which older people would like to travel on can be a barrier to social inclusion, particularly in restricting ‘independence’ “. The above was taken from “Future mobility in an ageing society – Where are we heading?” which can be found here. So, we are living longer which means there are more older people about. We are working longer and therefore commuting for longer too. We are getting tech savvy (or getting that way) and most of us want to stay at home for much longer. The government is building more houses on the edges of towns and it is being reported that younger people will be dependent on the car more than ever – read more here. We have a huge dependency on the car but how long should older people drive for? Joan Bakewell thinks that “someone needs to make sure we are fit to drive them.” Read what she says here. There will be driverless cars, car sharing services, electric cars and a new charging infrastructure. 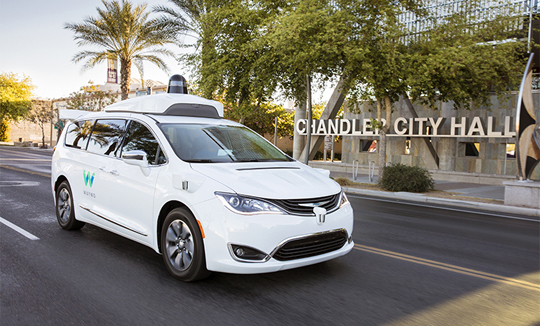 Apparently between August 2014 and June 2017 investments and transactions attributable to autonomous vehicles or core technologies amounted to over 160 separate and some some $80 billion. The numbers who think this will be unsafe are dropping rapidly. It’s not so far away when you will use your App to hail a driverless cab which will turn up in minutes and whisk you to Waitrose in Harpenden and then another will take you home. Car ownership will be a thing of the past – however, the transition period, which could last well over a decade, will see roads carrying a mixture of autonomous and human-driven vehicles, and is likely to prove challenging for drivers, passengers, regulators and enforcement agencies. Most people are familiar with drones, and low-end devices are now affordable enough for enthusiasts to get directly involved. Meanwhile, on the commercial side, logistics companies like Amazon (Prime Air), DHL and UPS are investigating the use of drones for parcel distribution -- particularly 'last mile' deliveries in rural areas where conventional vans and trucks can struggle. I can imagine looking out of the office window in St Albans and seeing Amazon delivery drones bouncing into each other up and down the high street dropping their loads on the Uber driverless taxis below! 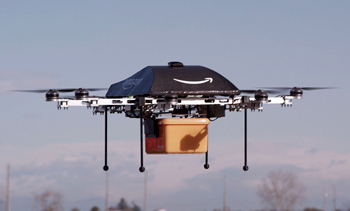 Regulation will be a key factor in the future of delivery drones. 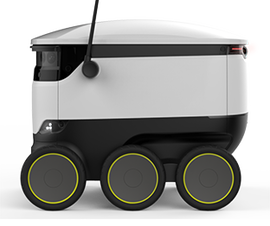 Regulatory issues surrounding delivery drones and larger CAVs have led Starship Technologies to take a more down-to-earth route: Starship's small six-wheeled self-driving robot can operate within 2-mile radius, delivering goods such as parcels, groceries and food in 15-30 minutes. By October last year Starship robots had clocked up 100,000km of driving, with pilot programs including a pizza delivery service in partnership with Domino's. 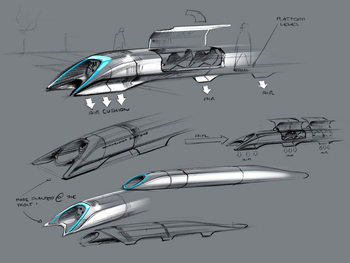 In the US, Uber and NASA are collaborating on a VTOL taxi scheme called Uber Elevate, with demonstrations planned for 2020 and a service launched by 2023..
Perhaps the most futuristic of all new transportation technologies is Hyperloop -- a combination of maglev train and (partial) vacuum tube capable of propelling 'capsules' or 'pods' of passengers and/or freight at velocities approaching the speed of sound..
Transport technologies that make it to the mainstream will operate in a smarter, more connected world. This will have major implications for the way cities are designed (or redesigned) and managed and will transform our experience of moving within and between them.. Dynamic maps, sensor-equipped infrastructure and intelligent connectivity should enable more efficient routing and parking in smart cities. Along with ride-sharing schemes and electric vehicles, such developments could save time, free up land, and reduce pollution and congestion in tomorrow's cities..
"Before we even come close to seeing widespread consumer adoption," said analyst firm Forrester, "shipping and logistics companies like Amazon, DHL, and UPS will pioneer the commercial use of autonomous vehicles.”. 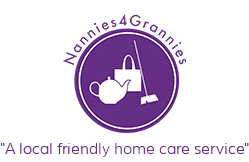 Transportation is about to get a technology-driven reboot -- and not before time, considering the accident-prone, polluting, resource-guzzling and time-consuming nature of many of our current methods of moving people and things around..
At Nannies 4 Grannies Ltd we offer Companion Care, Homecare and Support for residents in St Albans, Harpenden and the surrounding areas.